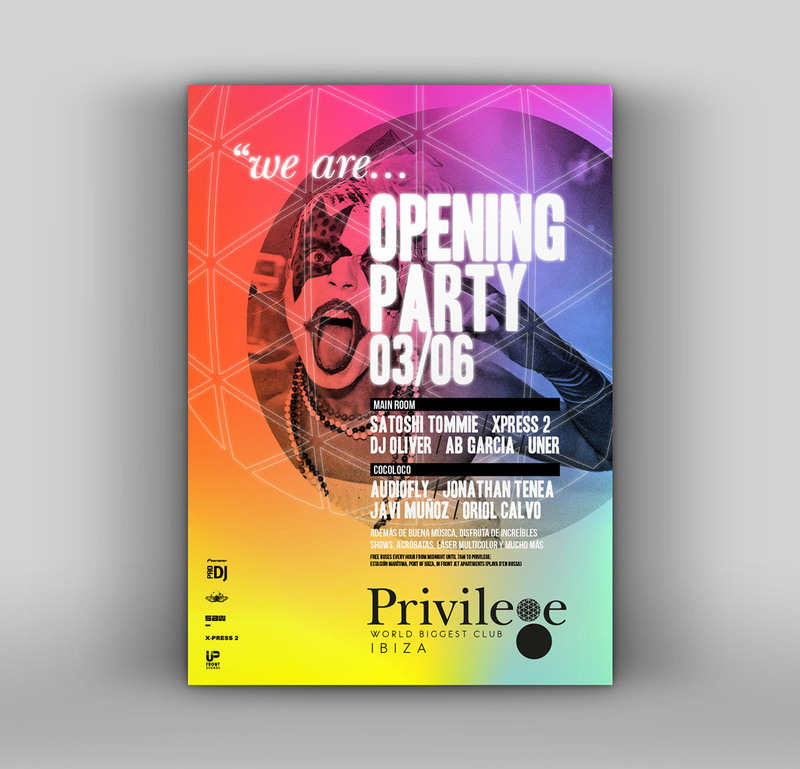 Renewal proposal of the visual identity for the popular nightclub Privilege Ibiza. The typographic style kept the old logo, but with a slight restyling that made it more uniform and gave it a more modern look & feel. 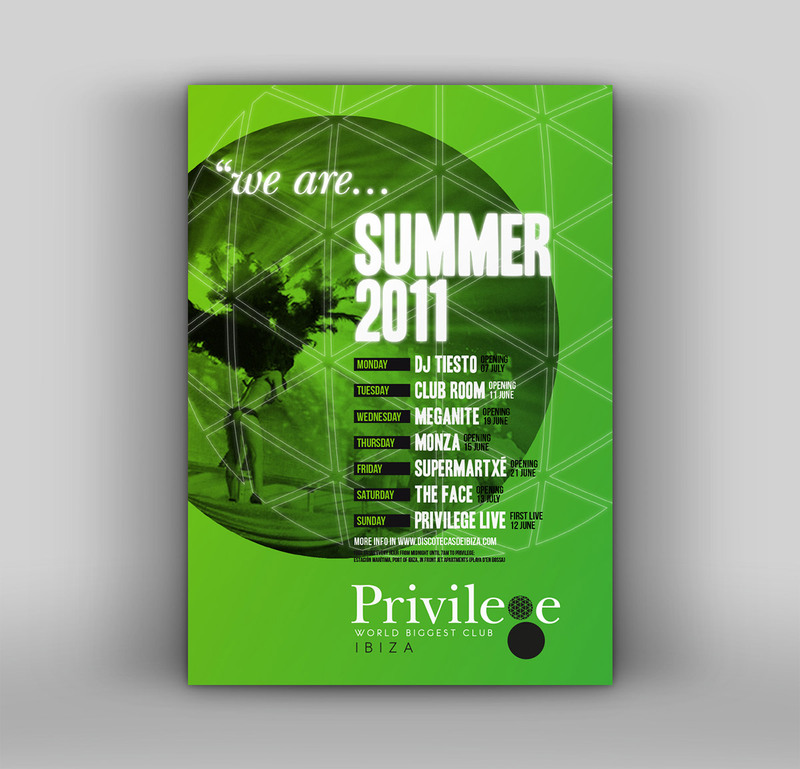 In addition, an image campaign was developed as a new communication line for club parties and events. 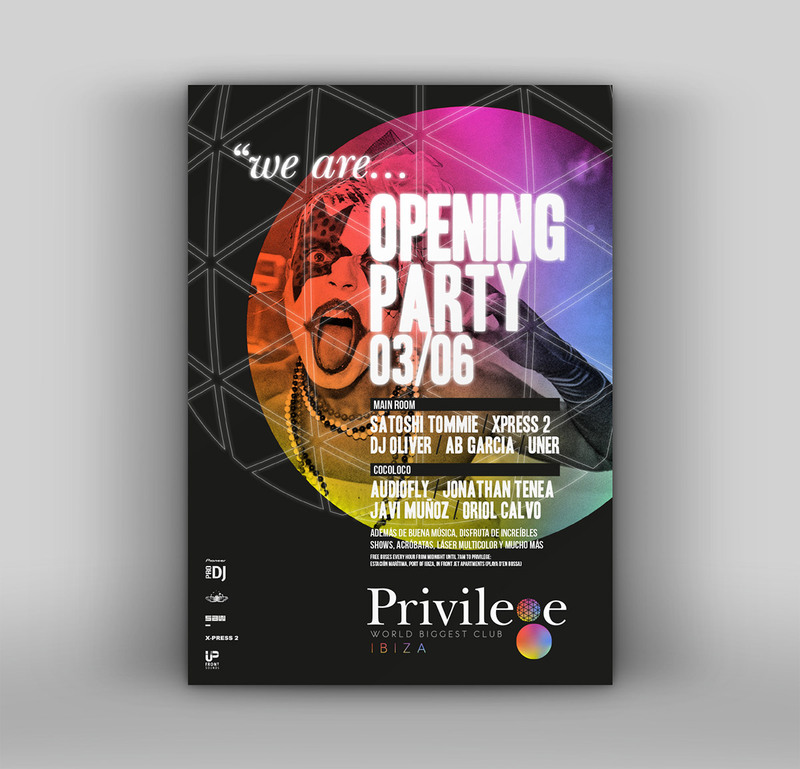 Privilege is one of the most storied clubs of Ibiza. 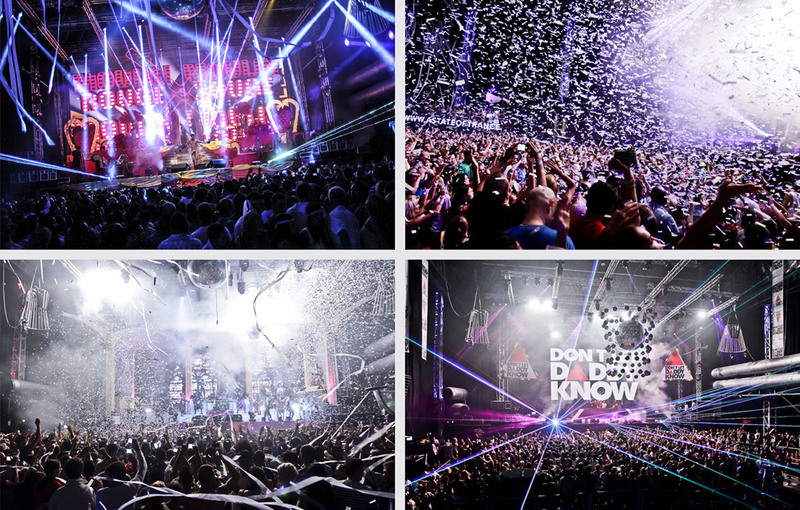 But it’s more than just a club, it’s a unique factory with unrepeatable experiences that shape their identity. 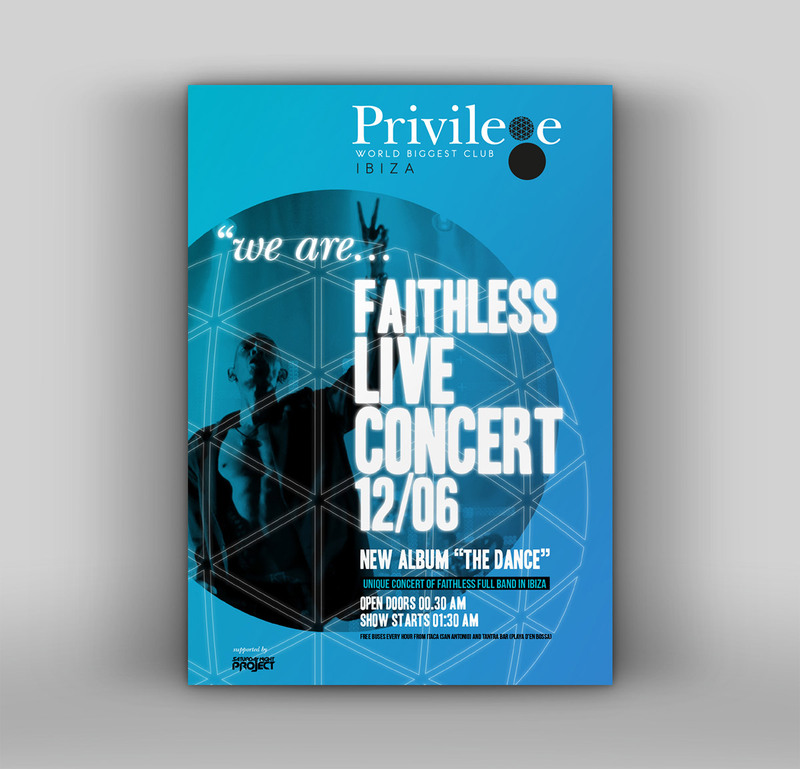 Everything that happens in it is what shapes its identity, and that is precisely what we wanted to communicate in this proposal of new brand image. 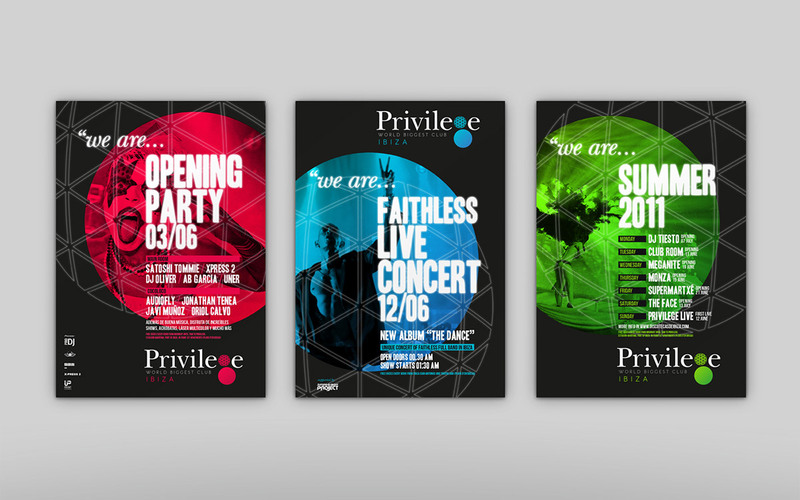 The identity of Privilege in last years was being somewhat chaotic , even getting to have several different logos in circulation during the same campaign . Brand development: The project presented in 2011 came from one of the original brand logos (the original), with a typeface with a serif and a huge symbol shown characterizing the letter "g". Facing the new logo, a typeface is sought in a similar style to keep this junction with the well-known brand. However the font chosen for this (New Baskerville), provided greater visual consistency and better reading than the old font (Times New Roman). The main change of the new logo would then be in the symbol. 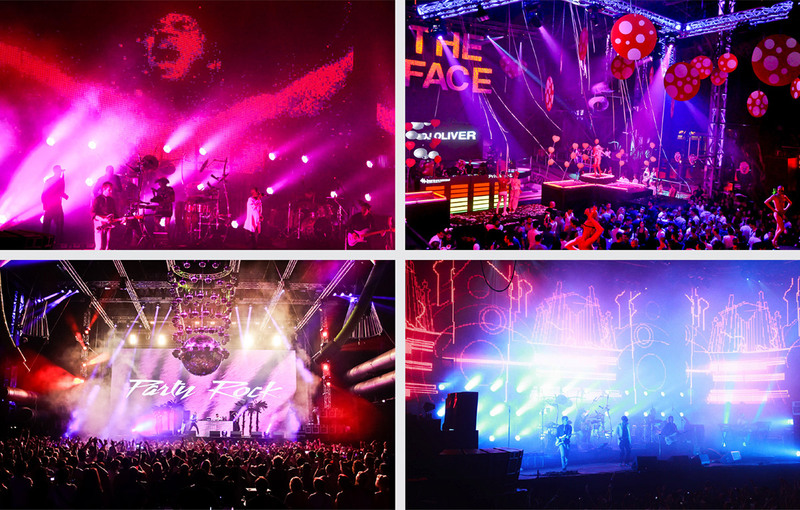 This would be born from a characteristic and unique element of the disco, the dome. 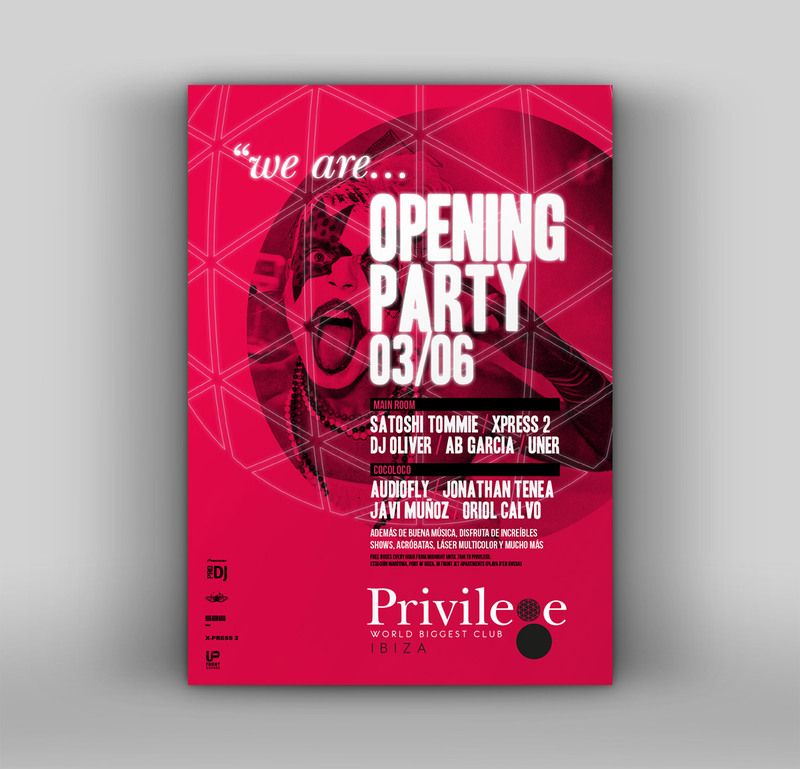 Thus, the new logo gave the Privilege nightclub greater visual consistency and above all a great leap in quality as brand identity is concerned, also providing identity features that no other club could emulate. The graphic image was born out as consecuence of the proposed restyling of its logotype (link). The characteristic dome like a disco icon, vivid colors, striking images and a provision of structured but interchangeable elements, provided the club a new and very powerful new identity.